Nearly two years after it was first announced alongside Marvel’s other Netflix shows, news on Iron Fist is slowly starting to come out. Last week, it was announced that Scott Buck will be the showrunner, and casting has reportedly begun to find the actor to play the eponymous protagonist. 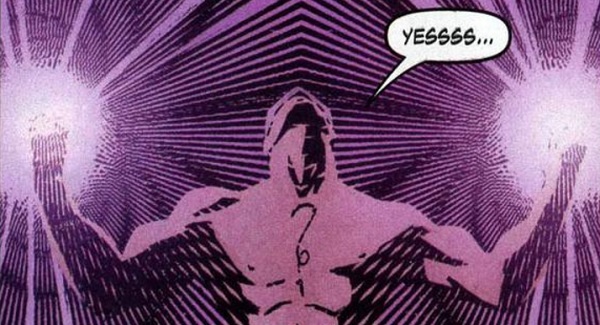 Now, two character descriptions have been released, and one of the mysterious individuals sounds like it could be one of Iron Fist’s most notable antagonists: Steel Serpent. Rarely are good guys ever described as “merciless” and “arrogant,” so it stands to reason that this individual will be a sinister figure on Iron Fist. However, it’s the “physically active” description that seems to hint at Steel Serpent. Iron Fist is one of the Marvel universe’s greatest martial artist, so whoever he ends up fighting will have to be able to match/exceed him in combat. Steel Serpent is more than capable of doing that, and considering their history in the comics, he would fit well as the main antagonist on the series. Steel Serpent, originally known as Davos, hailed from the city of K’un-Lun, where all the Iron Fists have originated. Davos trained for years expecting to become the Iron Fist, but when Danny’s father Wendell earned that right instead (though he didn’t take the title), Davos grew furious. After Danny became Iron Fist, Steel Serpent tried to steal that power for himself, but couldn’t control it and was later killed (albeit temporarily) when Danny absorbed it back. Steel Serpent has also already been referenced on Daredevil, with his insignia being the same one stamped on Madame Gao’s drug packets. On the off chance that Steel Serpent isn’t the villain in question, there are some other candidates who might fit the bill. Point of Geeks offered Harold Meachum, the man who killed Wendell Rand’s father, as a possibility, but considering that Meachum later had his leg amputated and wasn’t in good shape to begin with, he seems unlikely. Other adversaries Iron Fist has faced over the years include Bushmaster, a ruthless crime lord who later gained super strength, and Constrictor, an ex-S.H.I.E.L.D. agent who uses cybernetic coils in battle. However, those two aren't nearly as skilled as Steel Serpent, so right now he’s looking like the leading candidate for Iron Fist’s main villain. Iron Fist is scheduled to begin production next year, and we’ll keep you apprised on any news regarding when it will be released on Netflix.